Stop juggling headshots and bios. 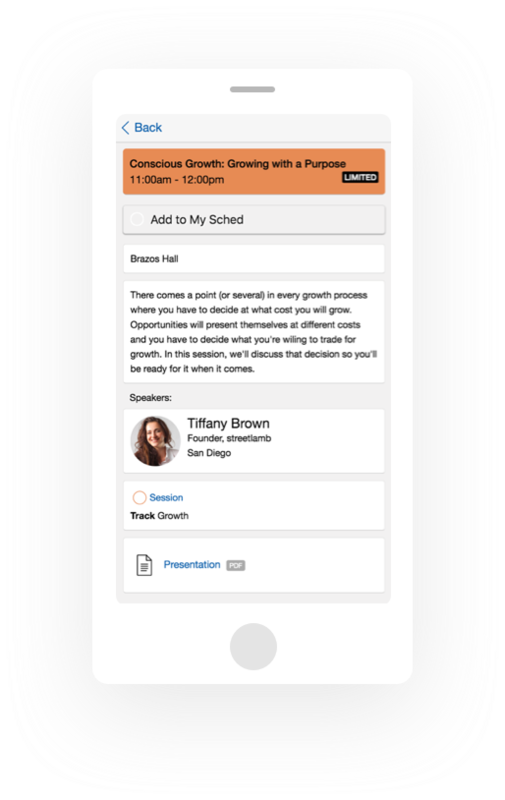 Save time creating your event by giving your speakers the power to update their own profile and manage their sessions. Collecting information from your speakers can require a ton of back-and-forth communication. 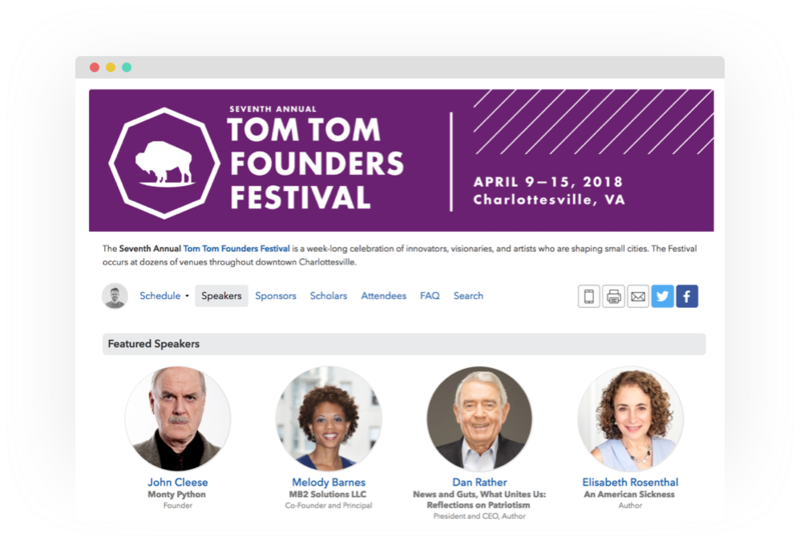 Save time by letting speakers upload their own photo and bio directly to Sched. Session descriptions can change over time. Speakers can update their sessions and won’t need to email you every time they want something changed. 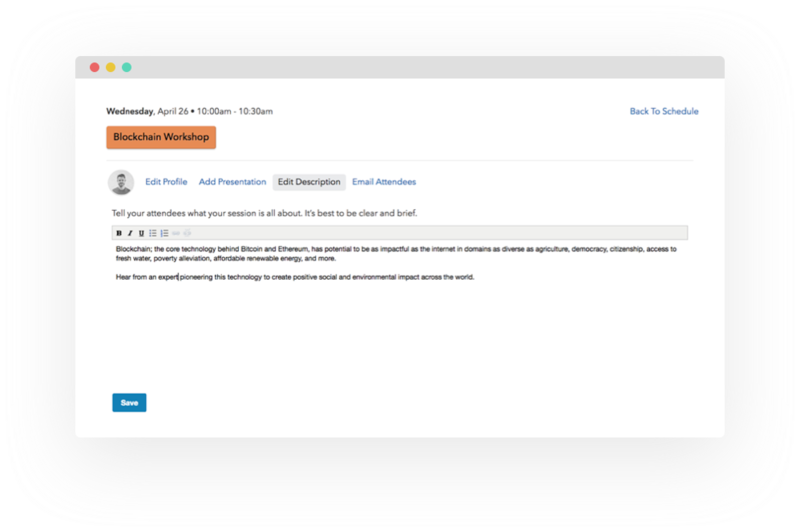 Speakers can upload their presentation files to their sessions directly in Sched. Attendees can access presentations before, during, and after the event.